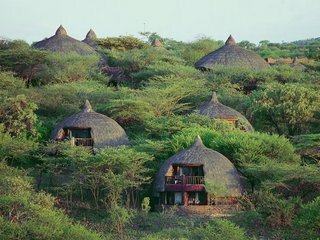 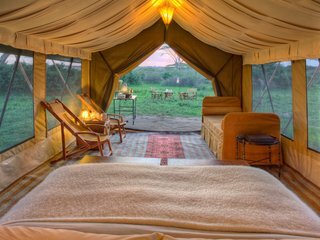 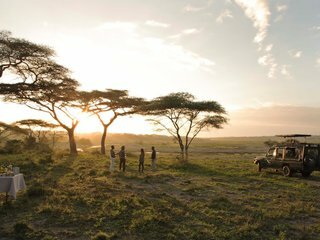 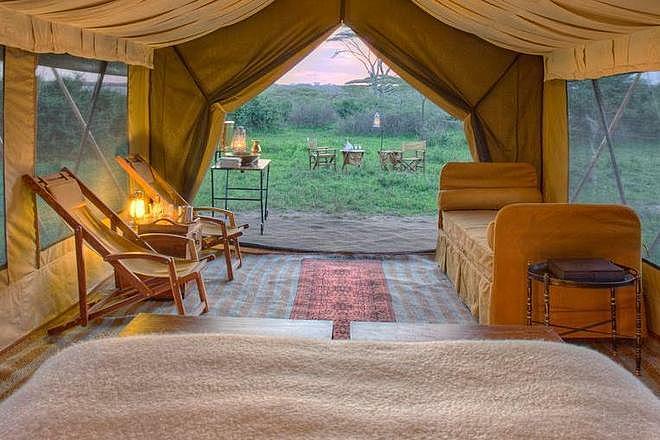 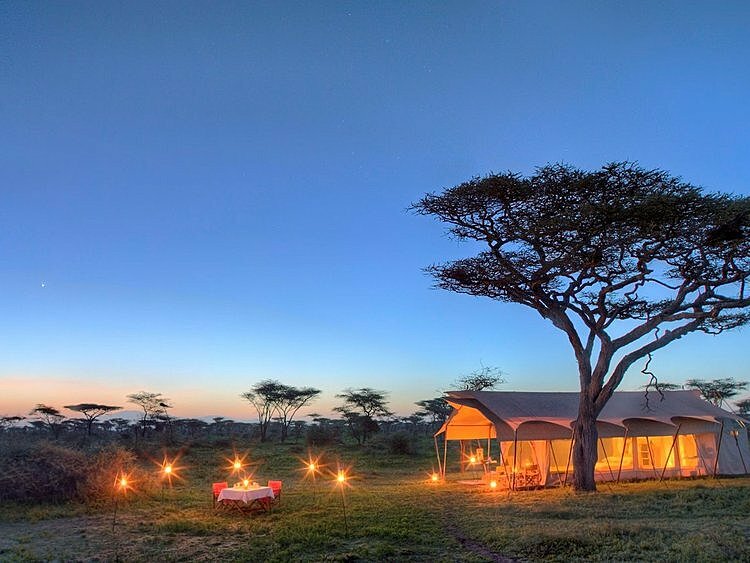 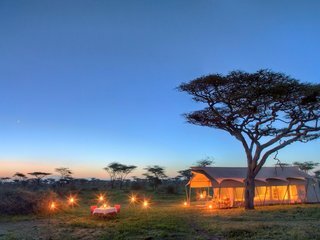 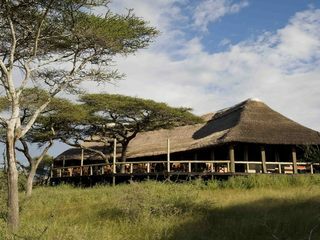 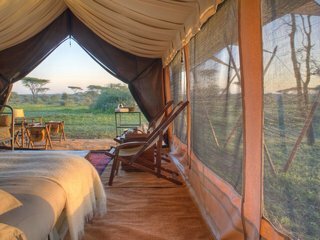 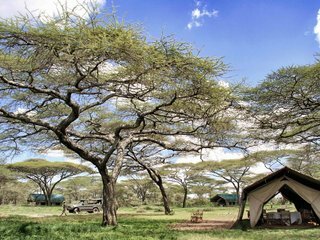 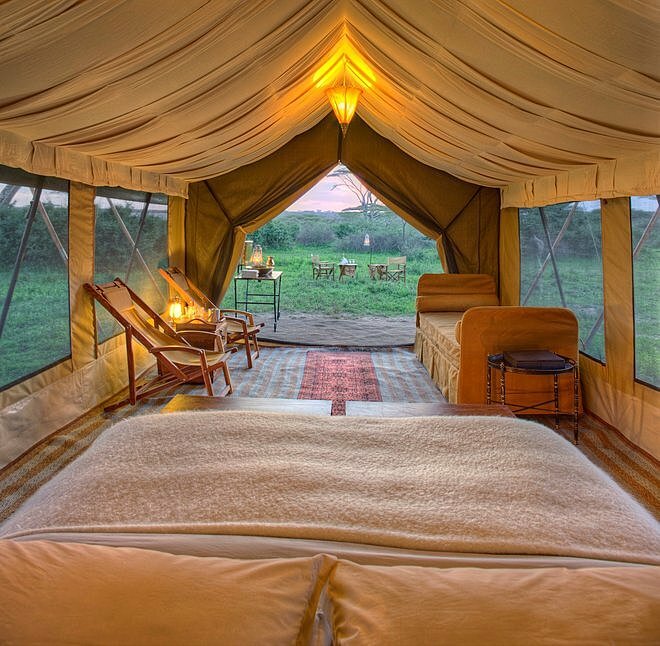 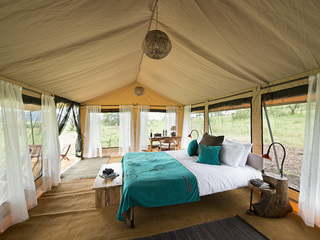 Serengeti under canvas is a luxurious, semi-permanent camp that moves around the Serengeti following the Great Migration. 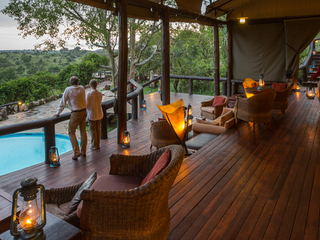 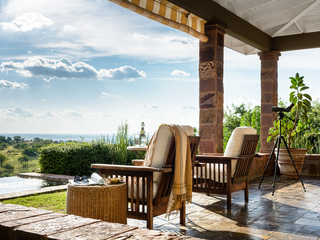 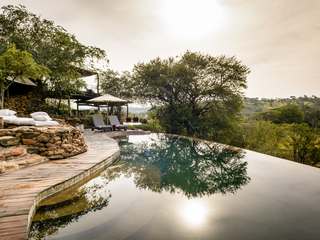 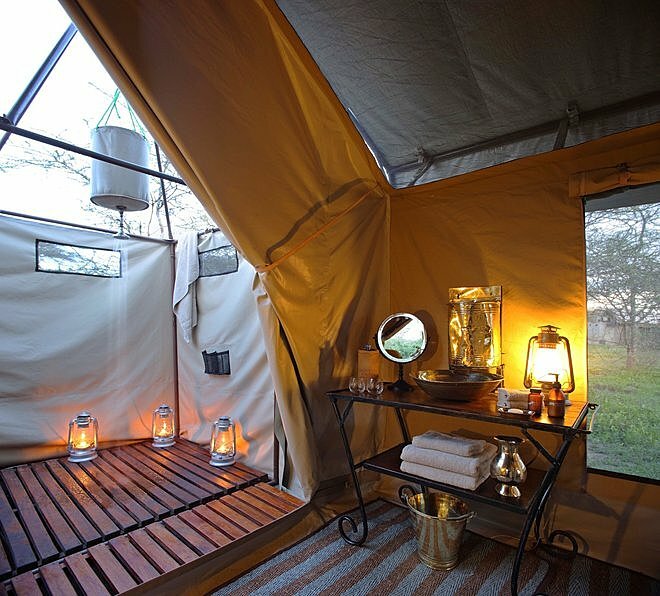 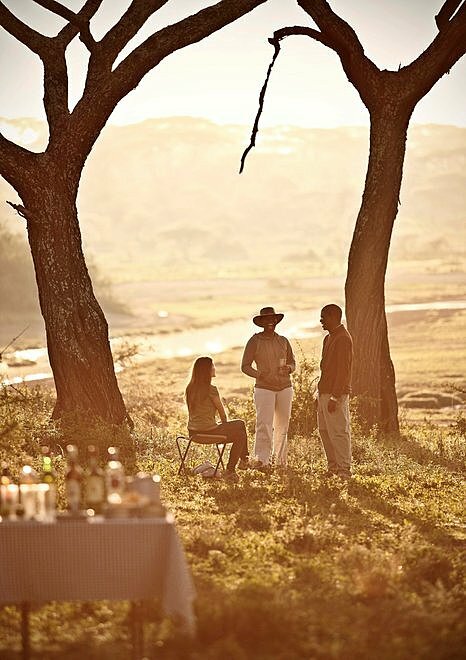 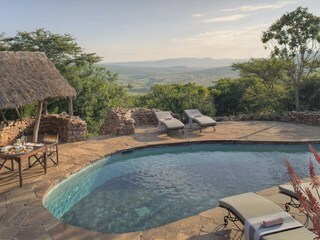 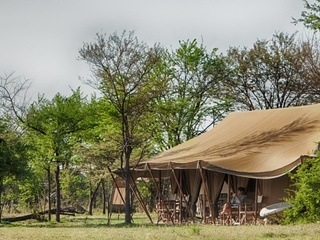 The height of luxury, this mobile camp provides fantastic game viewing whilst still upholding the high standards you expect from an ‘&Beyond’ property. 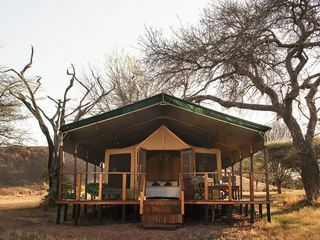 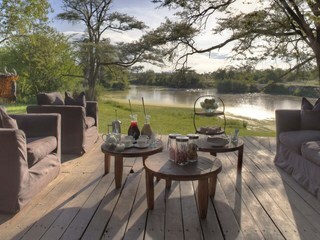 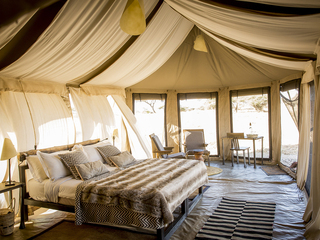 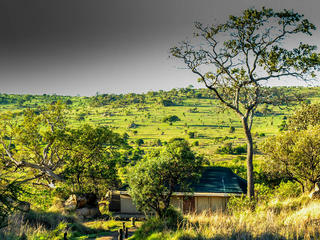 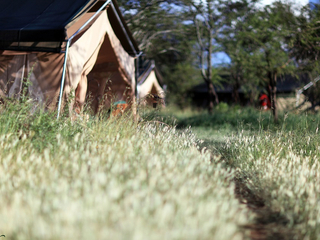 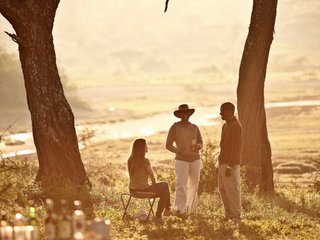 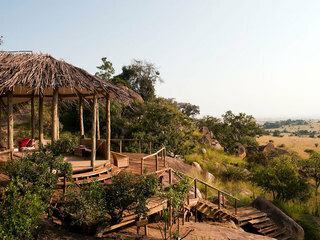 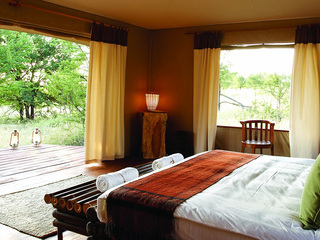 A simple but sophisticated camp, expect plush furnishings and silver service in a simple, bush setting. 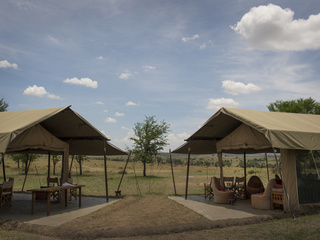 The guest areas are made up of comfortable seating areas, dining areas and an outdoor campfire. 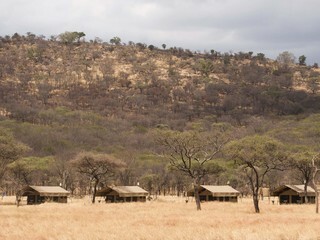 The property is spilt into two camps that move around various private campsites in the National Park. 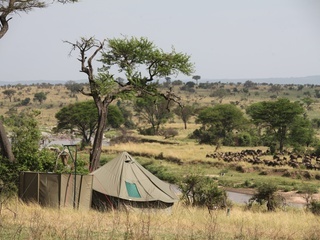 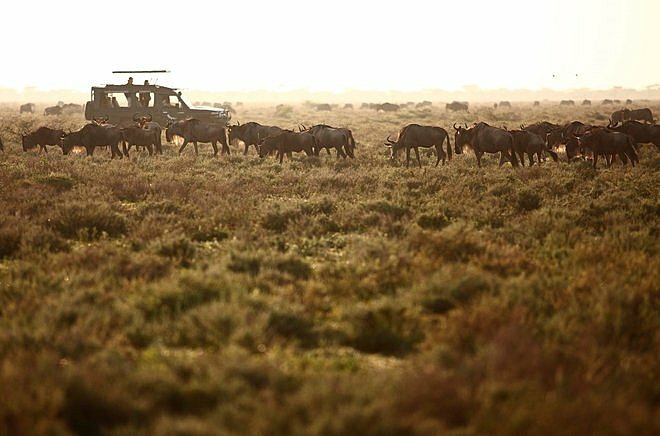 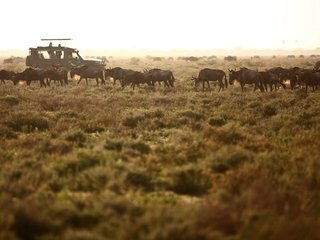 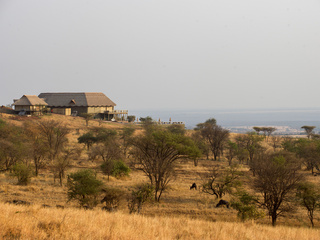 Naturally, the main activity at camp is game drives following the movement of migrating herds and the predators they attract such as lions, cheetahs, hyena and leopard. 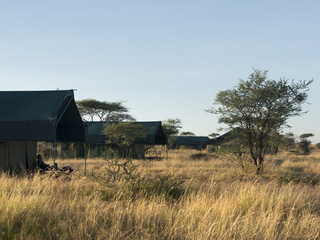 The rangers are flexible allowing you to choose between one long drive a day or two shorter ones with lunch back at camp. 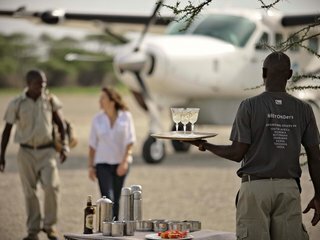 Additional activities can be organised and include hot air ballooning and day trips to Lake Victoria, Olduvai Gorge and Shifting Sands. 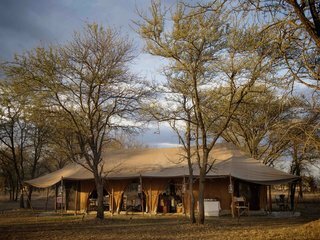 The accommodation here strikes a nice balance between an authentic camping experience and a luxury stay. 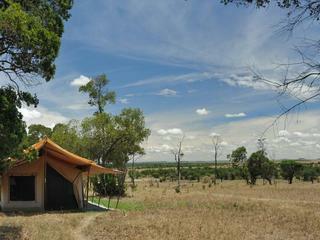 9 small and simple canvas tents host 18 guests, preserving the ‘out in the wild’ feel. 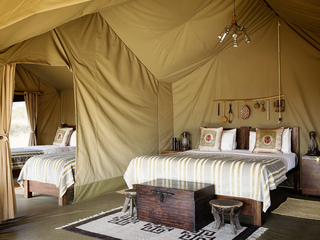 However inside, the tents are plush with Persian rugs, chandeliers and large comfortable beds. 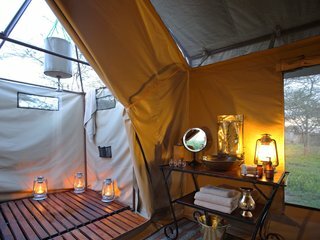 Each tent also has ensuite facilities and outdoor hot bucket showers as well as your own personal butler to tend to your every need. 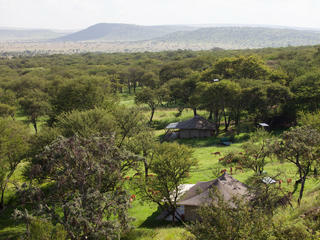 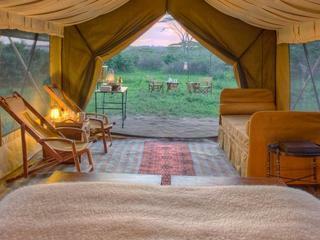 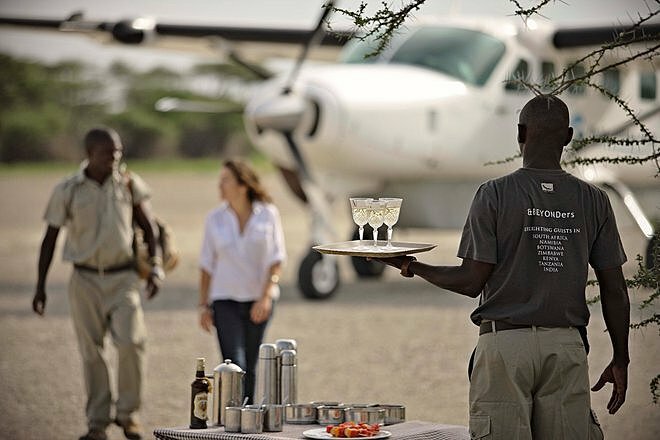 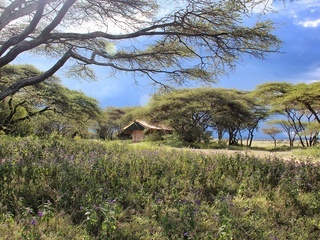 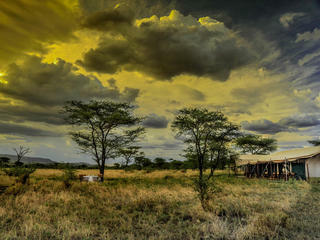 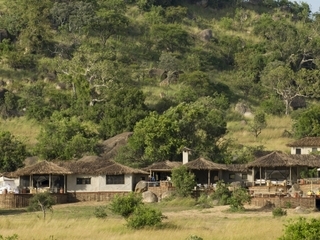 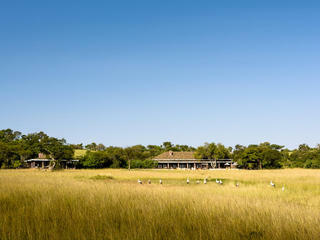 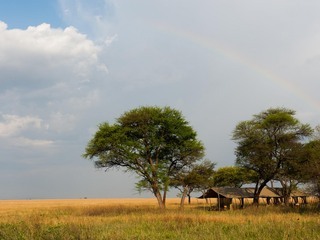 Children over six are welcome at Serengeti under canvas and the guides are very good at tailoring game drives. 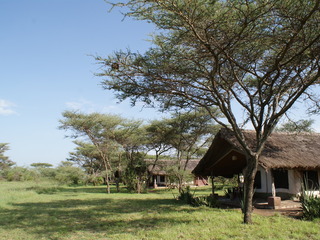 In terms of accommodation, family tents are also available. 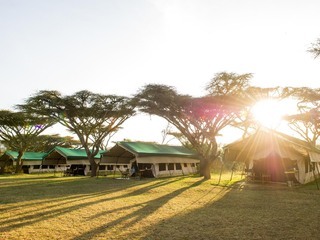 Although this camp can come up a little expensive in comparison to similar camps in the area, you are paying for the superior comforts as well as the location. 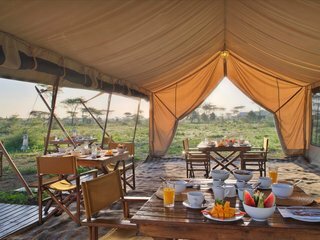 For guests that want an authentic adventure without having to compromise on accommodation standards this is an ideal choice.